Home / Support / Documentation / RSSalma! / Installing and uninstalling / Uninstalling RSSalma! 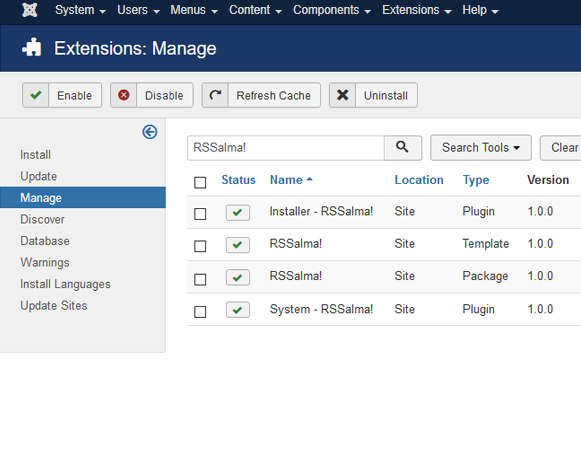 Click on the Manage tab, filter by templates and search for RSSalma!, select the RSSalma! 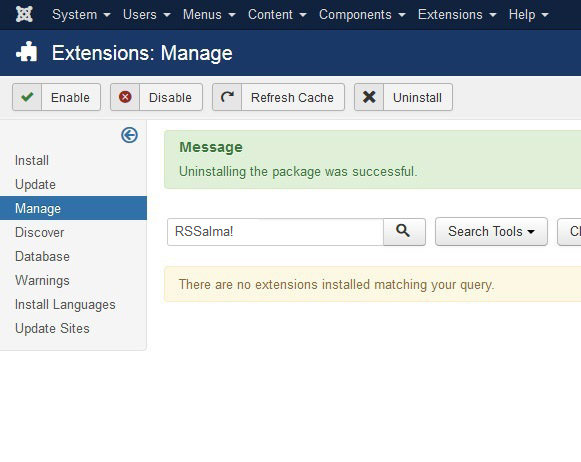 Package and click on Uninstall (the image only shows results for RSSalma!). If uninstallation was successful, you should see the above message. 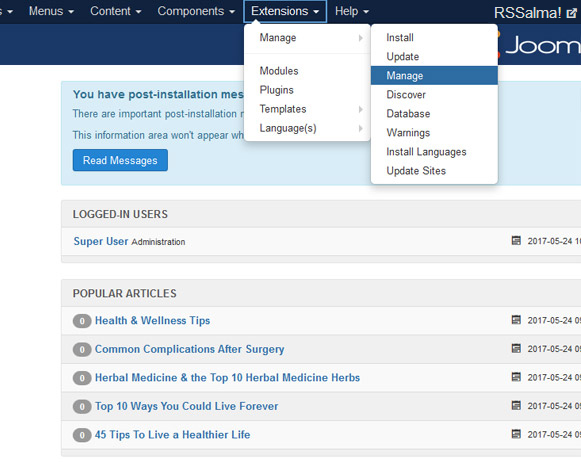 The installation of any template, component, plugin or module is done strictly using the Joomla! installer, as the above example illustrates. If you encounter problems when uninstalling RSRokka! check out the Manual uninstallation guide. Make sure that the following folder is writeable: /templates.